SEEDLING AGRO xxxx.xxxxx.xxxx. Proudly launching his 12th successful venture of agriculture farm layout named VAIGAI. This layout pattern UN comparable to any other. Every farm plots having an extent of 10, 20, 50 acres are exact rectangle in shape with 30 feet wide road accessibility. This Layout is located The surrounding area of this site is fully cultivated by In this layout area, sub-soil water availability at a depth of 40-50 feet. Regarding the documents, all the farm plots are having clear and marketable title deeds, patta, and Tax receipts etc. All the plots are surveyed and De-marked with boundary stones. The Pure Red Soil High fertile 345 contiguous acres irrigated farmland with high definition of water located at a distant of 22 km from Tenkasi Town as well as NH 208, 125 km from Madurai city as well as International Airport and one km from the State Highway SH 41 between Alangulam and Sankaran Kovil. 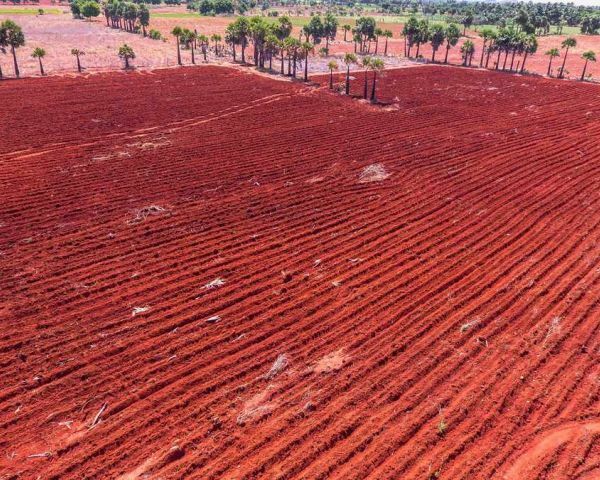 This high fertile Red Soil Land Agriculture farm Layout is situated in Keelekallingal village, Veerakeralamputhur Taluk, Tirunelveli district, Tamilnadu state. We offered to a buyer looking for a profitable agricultural venture. The area holds an abundance of water resources aquifer.